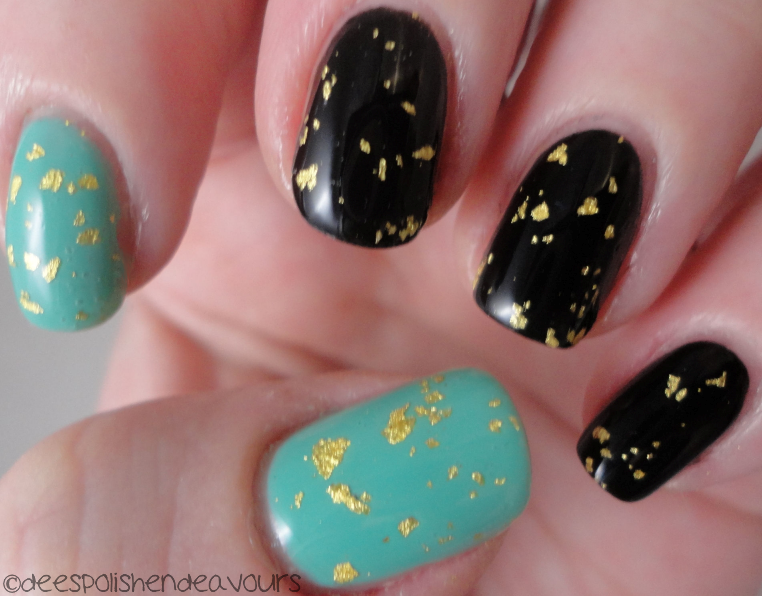 On chalkboard nails, she used a turquoise base, and I thought it looked stunning.. But she also said it looked badass when used over black.. No brainer!! 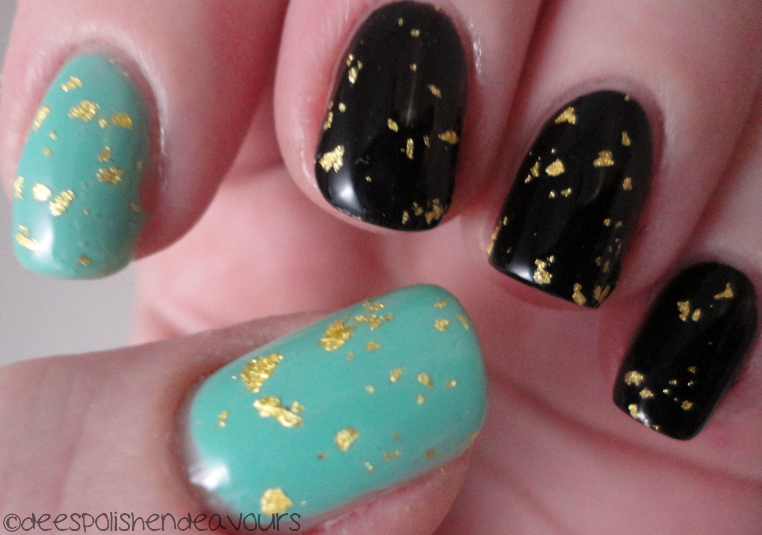 I used Orly Liquid Vinyl and Essie Turquoise & Caicos followed with some Gold Leaf top coat. It is beyond simple, but that gold top coat takes it just a smidge on the edgy side, and I think it looks 'badass'. There is a link to an e-mail address to get in to contact with the creator of this top coat.. I am not entirely sure if she still has some available - but if you're a person that just wants your polish to go one step further, you should really try to get your hands on this! And the bottle sticker is kind of amazing also. I actually received more fun nail mail to play with.. AND.. I may have started to get goodies for a giveaway.. I see I am getting MIGHTY close to 400.. SAY WHAT?! Well, that is all for now - take care until next time!